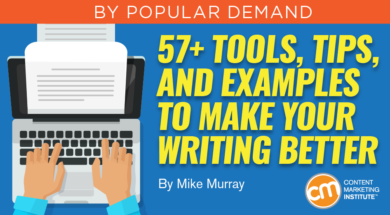 Editor’s note: You can’t have too many tips and tools to improve and inspire your writing. That’s why we’ve updated this article from a few years ago with new examples and some new tools. Writing isn’t an easy task. Whether you craft words for B2B or B2C audiences, the challenges can be many. I’ve created a diverse set of tips, tools, and resources to aid in shaping and modifying your work. It’s not an exhaustive collection. Some ideas may seem familiar. Some will be fresh. My hope is that you’ll walk away with some insights or new tools to help address or minimize the content creation challenges you face. Ready to explore? I’ve divided this article into two sections – the first takes a larger view and incorporates brand examples, while the second gets granular with writing tips and tools you can use today. 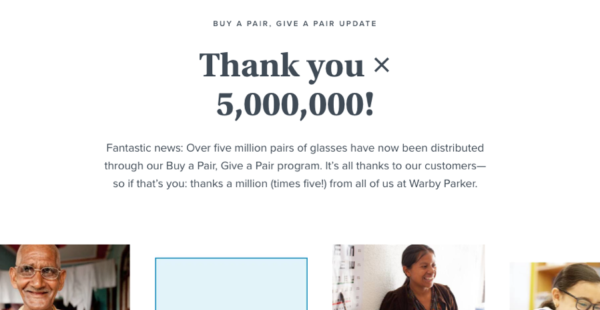 The Warby Parker campaign, Buy a Pair, Give a Pair, drew me in with a few words and numbers. Developed as a thank-you promotion for its customers, it’s also going to attract prospects. Writing 5 million as a number is a powerful way to attract the viewers and pique their interest. As a craft, copywriting must perform on many levels to catch and hold a reader’s interest. 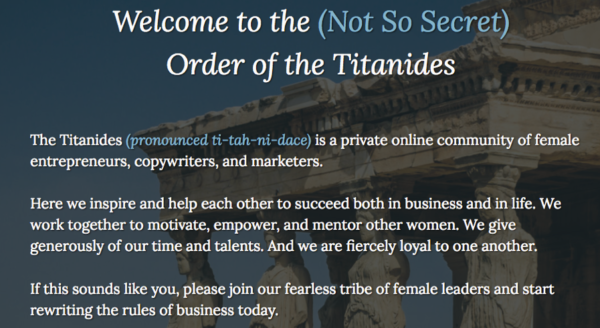 The intro to the Titanides community organized by Marcella Allison, named the 2018 Copywriter of the year by American Writers & Artists Inc., hits on several levels – exclusivity (read more about this later in the article), clearly explained purpose, and concise call to action. Velocity Partners, a content marketing agency, nails consistency by marrying its brand name with its explainer text in a lighthearted tone. 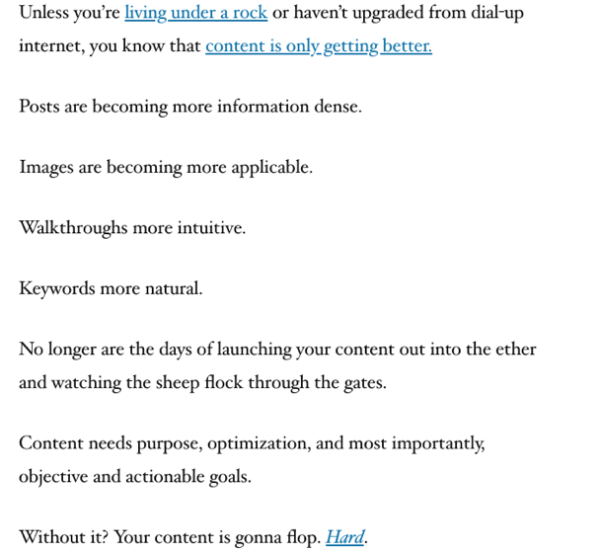 Long-form content service Codeless demonstrates its expertise by crafting long-form content for its brand such as this almost-3,000-word article, How to Build a Content Strategy Framework That Doesn’t Flop. Many brands do a good job of diving into topics within the realm of their expertise. Dropbox provides examples of how to use its service; it explores work-related issues, including this personal account on sleep. If you write thousands of words in a guide or e-book, you need a consistent tone and well-organized content. 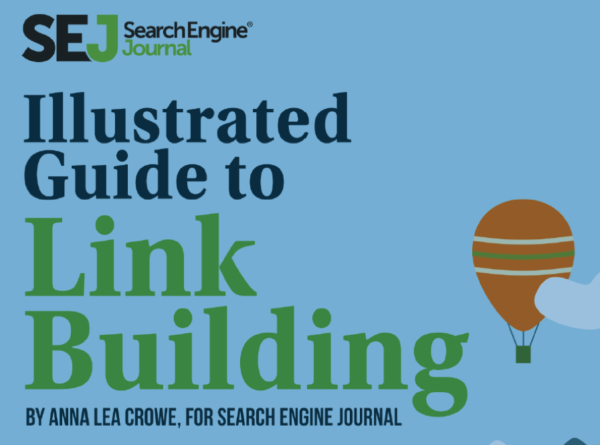 Search Engine Journal pulls it off masterfully with its Illustrated Guide to Link Building. 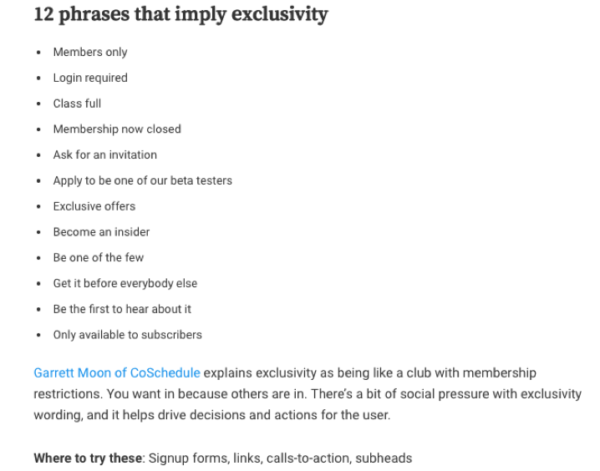 Words appear in blog posts or descriptions of product features and benefits. But writers also can shine in video scripts along with set designers, actors, and filmmakers. Writers can take an otherwise dull topic and make it captivating. How does your content inspire readers or get them to care? Write in first or second person. Rarely use profanity because it can distract readers who wonder why those words were included. Don’t be so creative that readers struggle to detect your main point. Link to other websites, newsletters, and blogs because the links provide added value to visitors and help establish credibility. When you go in depth, you underscore your authority in an industry. But snack-size content may be more suitable. How much you write depends on your design and whom you’re targeting. I understand that short pieces (anything under 500 words) are easier for online readers to consume. But if you don’t write enough, you disappoint someone by not devoting sufficient attention to the topic. Longer content can draw people in. But if you provide too many details you might overwhelm a reader. Odds are that your agency or company will have policies that control length. But there should be exceptions. Editors and writers should agree on whether the article is the right length. In the content writing and editing process, discard information that doesn’t quite fit, but consider opportunities to use some portions of the deleted text for future content (with additions or modifications). From a search engine optimization perspective, longer content is best. A website, for example, can get by with shorter pieces if it becomes authoritative through its age, the number of pages, inbound links, and more. However, extended content often helps generate high rankings for targeted keyword phrases and similar words. Have the Read-O-Meter handy when you write. It estimates how long it will take someone to read your article. Many reference tools make your job a little easier and help improve your work. Among the best is the Hemingway app, which provides immediate feedback on content structure, including sentence formatting. With the website version, replace the default text with yours. 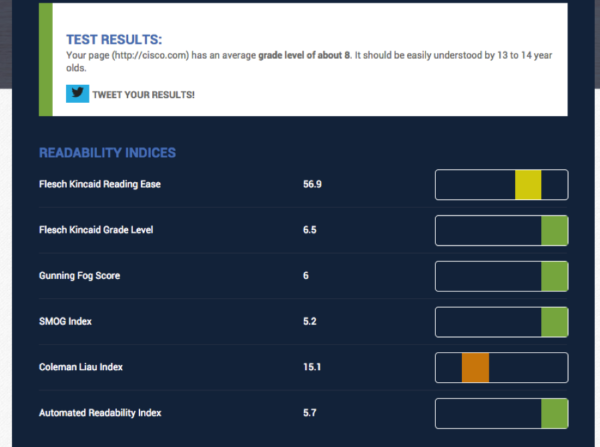 The Readability Test Tool scores your content, including the grade level and the complexity of words. 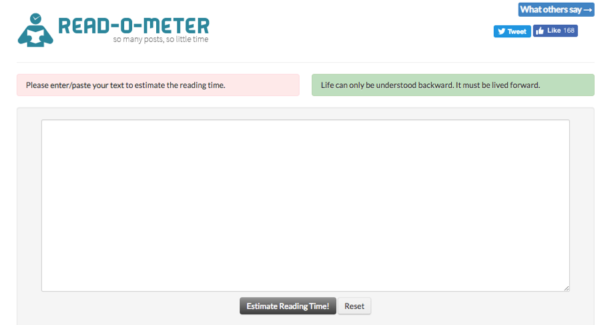 Other readability tools include the Readability Calculator and one from Microsoft. 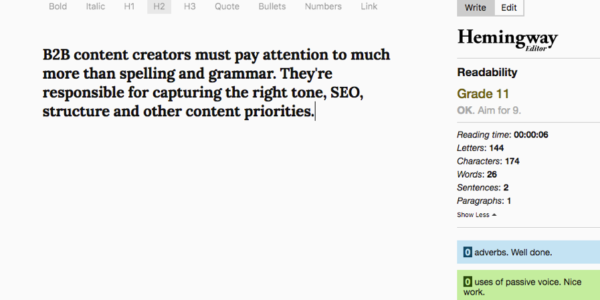 HubSpot’s Blog Topic Generator works well to get your creative juices flowing. Fill in the fields with three nouns. Portent has a similar tool to generate content ideas. 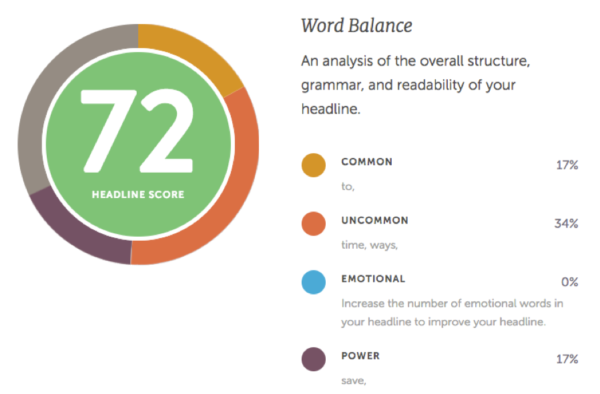 CoSchedule’s Headline Analyzer looks at tone, grammar, structure, and more. 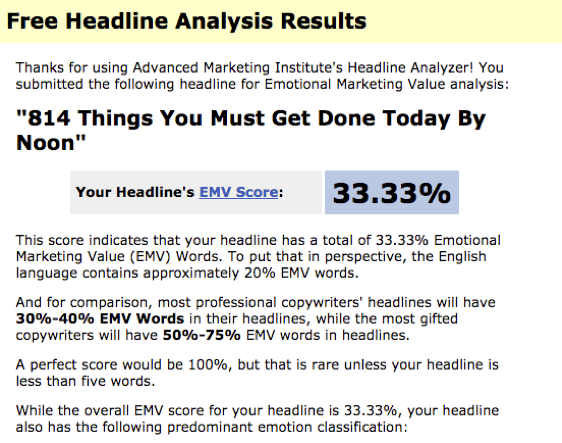 Size up headlines with the Emotional Marketing Value Headline Analyzer. 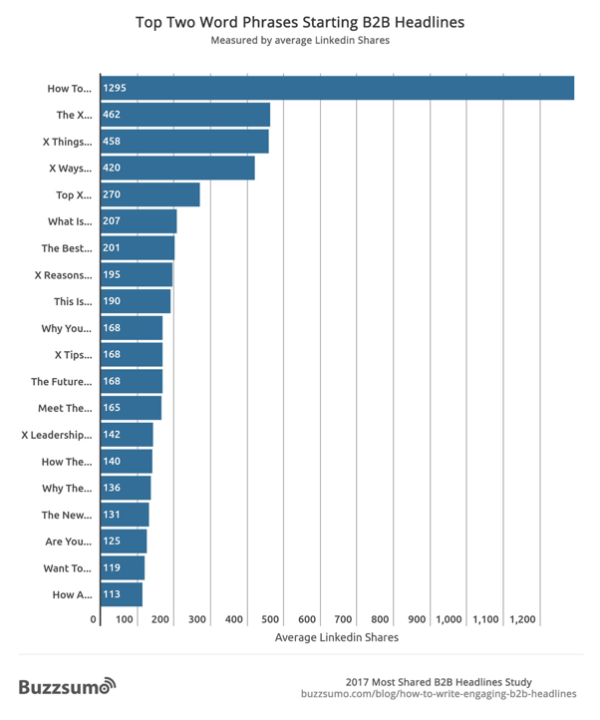 BuzzSumo evaluated 10 million articles shared on LinkedIn. One insight revealed that headlines with “how to” were among the most popular. Get more tips from CMI’s article How to Write Headlines That Get Your Brand What It Wants [Checklist]. Sometimes writers create content with multiple purposes. They have the burden of blending SEO into the content. I frame it as a burden because it’s one more variable to deal with. If you have a knack for SEO and goals you can measure, it’s not a burden. Unfortunately, you sometimes don’t know what realistic keywords to pursue. Aim too low and you use rarely searched keywords. Aspire for something too competitive and the content won’t rank. How are you evaluating keywords? Learn how to find your sweet spot with keyword selection (and how to appear on the first page of Google). Moz and SEMrush can help with keyword rankings. I also use SEOCentro for quick checks on Google rankings. As a writer, you sometimes reference other content. It’s not always sufficient to just add quotation marks and cite the source. Fair use depends on several factors, including the content’s purpose and its potential impact on the market value of the copyrighted work. While a lawyer would have the best advice, I have my own general parameters. For example, quoting 150 words from a 300-word article would be too much. In that case, I would limit my use to 25 words. I would be fine quoting 250 words from a 175-page book. I cite poems and song lyrics as little as possible because they’re often short. You should have legal counsel from your fair-use parameters. Good grammar is a necessity; you want to get everything right to satisfy readers (and bosses). Try out Proofread.GrammarBase and Grammarly. Keep a handy, growing list of common mistakes. I like the advice at Grammar Girl created by Mignon Fogarty, founder of Quick and Dirty Tips. Use parallel construction in writing. It organizes the text and allows your readers to understand more easily what you’re saying because they don’t need to expend mental energy piecing together your thoughts. For example, this mish-mash list is not parallel because the sentence structures vary. It could be time to look over your business software contract. If you want the product to benefit your company, include others’ point of view. In this example, the list is parallel because every sentence starts the same way – with a verb. Review your business software contract. Shop for the best products based on features, costs, and support options. Ask key members of your team for their perspectives, including productivity barriers. Avoid split infinitives. However, go for conversational over grammatically correct structures. If a sentence reads awkwardly, it’s OK to split the infinitive. Vary sentence lengths. Don’t force readers to think too much. Be reader friendly. You’re not writing a doctoral thesis. Don’t use a $10 word when a $1 word will do. Flee the jargon. Turn to Unsuck It to rate your content and find alternatives. Be conscious of antecedents: When you’re using pronouns, make sure it’s clear what the pronoun refers to. Read aloud. If your content doesn’t flow verbally, it may not work well for the reader. Pay attention to when you take too many pauses or pause in places where no comma exists. Adjust your text – add a comma or break the sentence into two. Similarly, WordCounter detects whether you’re using the same words too often. Use Thesaurus.com to find alternatives. Use active instead of passive voice. With active voice, your subject does the action. With passive voice, the action happens to someone or something. Active: The company’s sales team rolled out a new product. Passive: The new product was rolled out by the sales team. Watch out for typos and misspellings. If you can’t do the easy things right, it hurts your credibility. Typos and misspellings may cause your readers to move on. Respect your company’s style standards. For example, is it web site or website? What’s in your style guide? What content creation and copywriting productivity tools do you favor? What do you do each day to make your writing tasks just a little easier? Please share in the comments. Discover hundreds more tools, tips, and lessons to boost your content writing at Content Marketing World 2019. Use discount code BLOG100 to save $100 on registration. Register today.